Located at the top of the Naama Bay region of Sharm El Sheikh and near the centre of Naama Town, The Falcon Naama Star should be a relaxing holiday spent lazing by the sea and catching the sun. However, many visitors to the hotel find poor service and substandard food hygiene awaiting them. 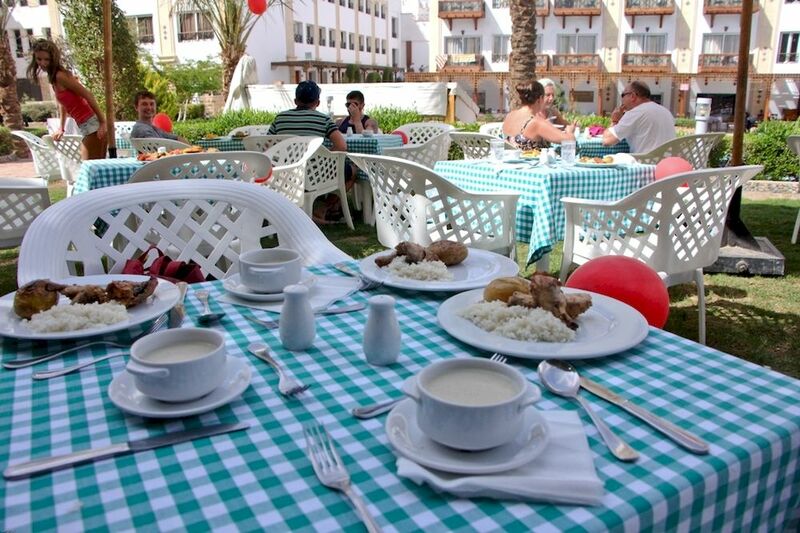 Sickholiday.com have dealt with 27 cases of reported food poisoning at the Falcon Naama Star. Symptoms including stomach cramps, diarrhoea and vomiting have been reported. These symptoms are usually caused from food poisoning or coming into contact with unclean water, leading to many all-inclusive holidays being ruined and many holidaymakers left out of pocket. Visitors have reported under cooked food being served at the buffets, and food being left out for long periods of time. [ezcol_1third] [/ezcol_1third] [ezcol_1third]The clients, along with many other guests they spoke to, were disgusted by the standard of food the hotel served. 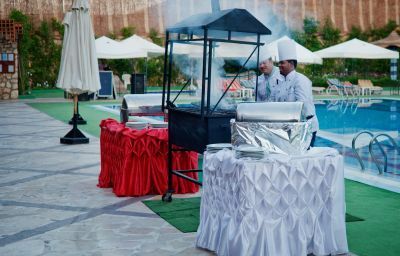 The outdoor barbecue was not set up properly to cook, even the manager admitted that the chef’s had put too much coal on the fire, leaving the meat raw in the middle. The food in the restaurant itself was repetitive and at the same, substandard quality. [/ezcol_1third] [ezcol_1third_end]After suffering quite badly with vomiting and diarrhoea and finding the food disgusting, the couple chose to eat out for the remainder of the holiday despite paying to go all-inclusive. The couple visit Egypt nearly every year and this holiday has not been the one they expected, nor the way Miss H was looking forward to marking her birthday. Miss P was disgusted with the food that was presented to her during her stay at the Falcon Naama Star hotel. It was luke warm, left out for long periods of time and reheated again the following day. Just 3 days into her 10 day holiday Miss P began to suffer with stomach cramps, this was shortly followed by severe vomiting and diarrhoea. In time the vomiting eased off but the diarrhoea lasted for a whole month. After talking to other holiday makers in the resort Miss P quickly discovered she was not the only one with food poisoning.